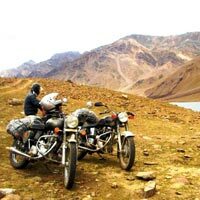 Our 4 Lakes and 12 Passes of Ladakh Tour is founded on our 10 years of experience with motorcycle expeditions in Ladakh. 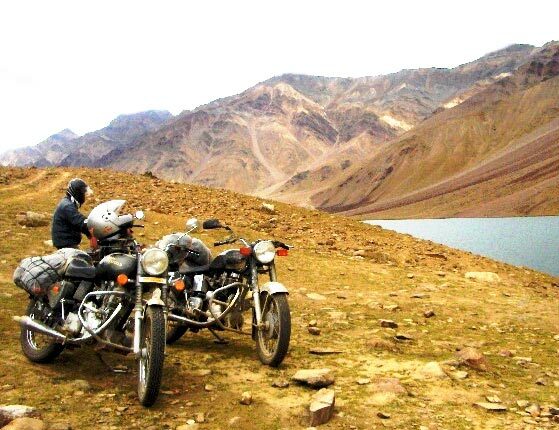 You can expect new tracks, passes and highlights never before offered on an organized motorcycle tour. 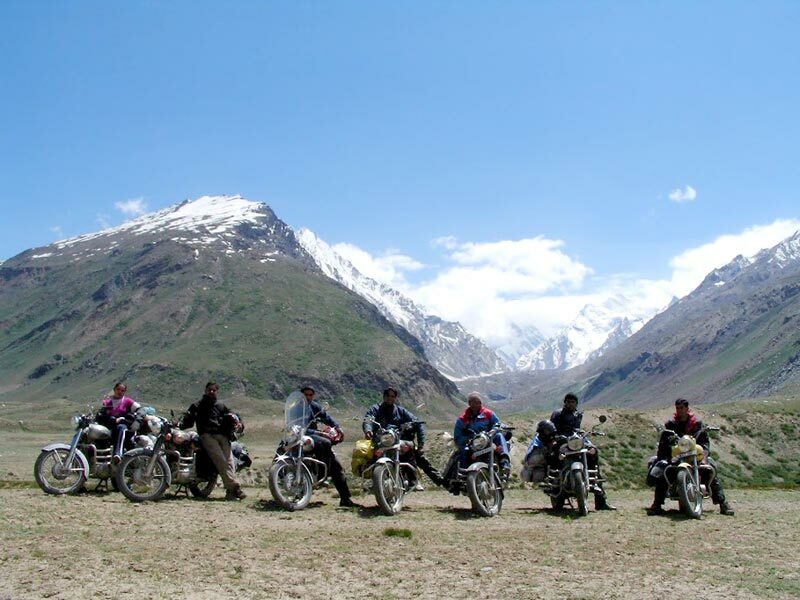 This is the first tour to take on 12 extremely high Himalayan passes - we’ll be hitting altitudes of over 5,000 meters five times and tackling the three highest passes in the world! 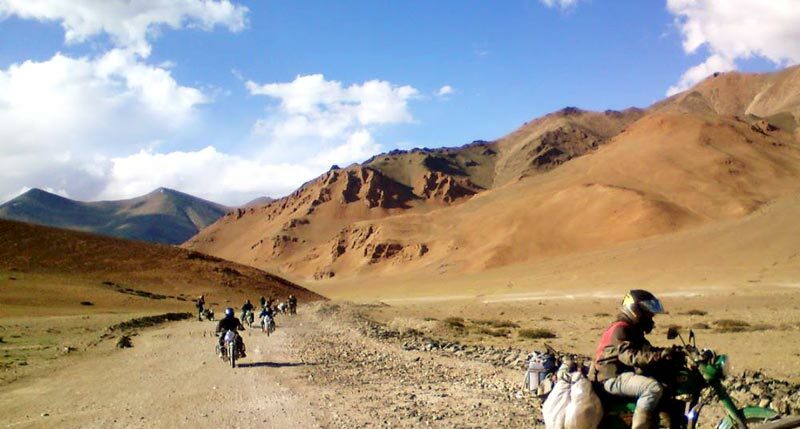 The route covers all of the highlights of the ancient Buddhist Kingdom of Ladakh, as well as the three most beautiful Himalayan lakes in the border region to Tibet. all at altitudes of more than 4,500 meters. 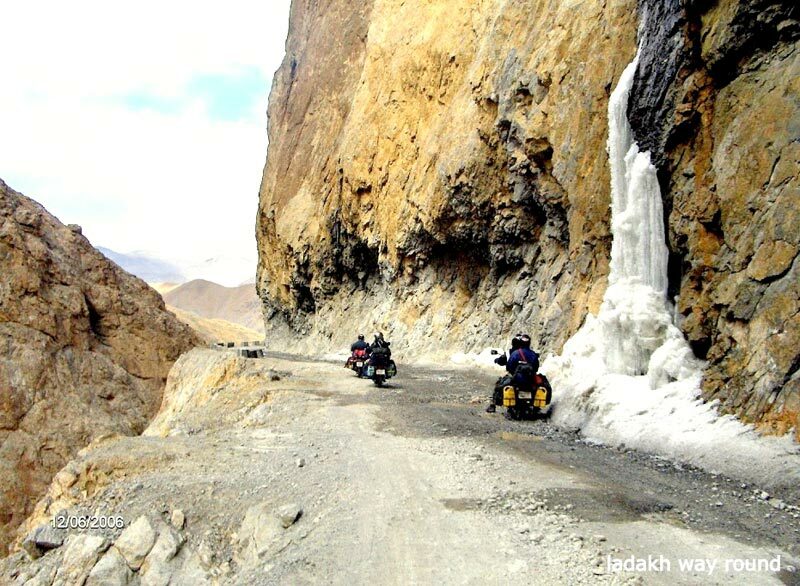 We’ll spend 13 days on the road in Ladakh.Package A: - Security deposit for the rented bike (40% cost of bike ) & Extra days bike rent. Extra luggage care vehicle cost will Share by group ,its as per requirement . Package B: - Bike Rent/Booking cost . Extra luggage care vehicle cost will Shared by group as per requirement . Extra guide fee, Camera & Video fee ,Tips, Insurance, Laundry, Phone. Package C: - Meals pay as per your taste. Extra luggage care vehicle cost will shared by group as per requirement. 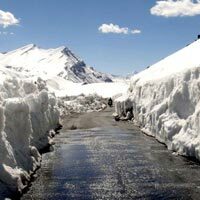 We start our journey from Manali to Leh stopping at Jispa for a night. 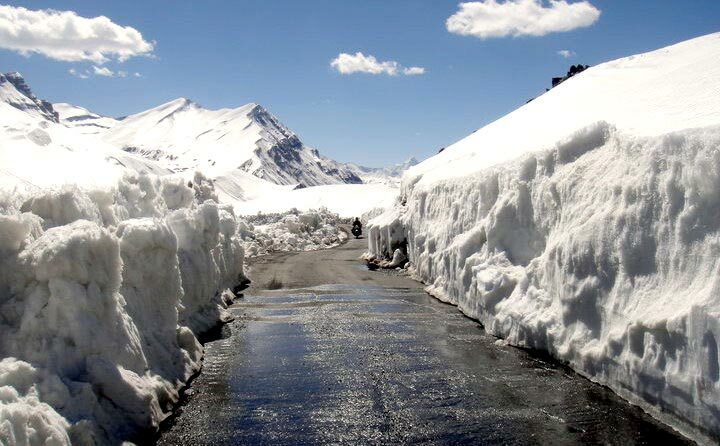 Today we cross Rohtang Pass (3978 m), Keylong (3350 m). Upon arrival in Jispa, we check in at our tented camp site, next to a river, for overnight stay. Post breakfast we check out and drive to Sarchu. 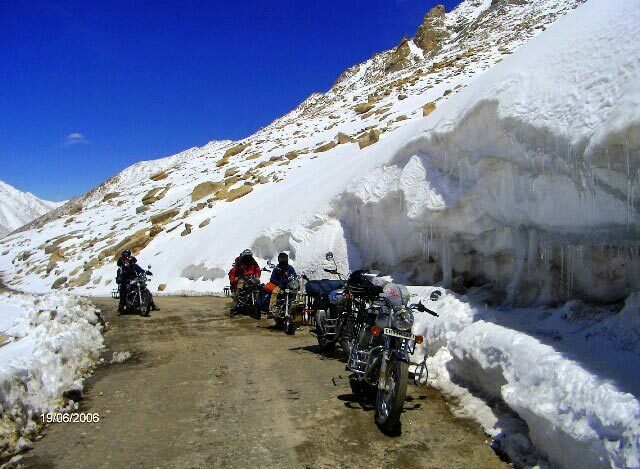 Today we cross Baralacha Pass (4890 m), Bhartpur camp city and enter the Sarchu plane plateau (4253 m), bordering of the states of Himachal Pradesh and Jammu & Kashmir. Overnight at the camps over there. Post breakfast we check out and drive to Tso-Kar Lake. 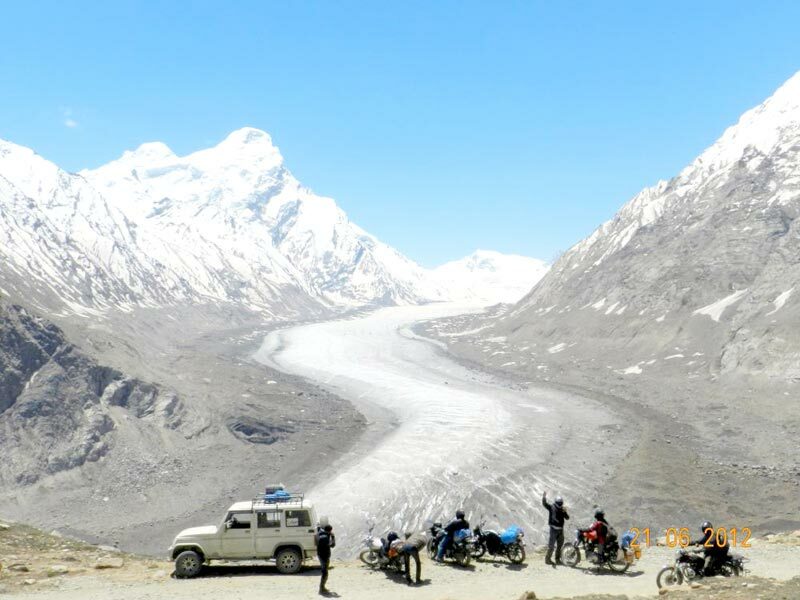 Through 21 Gata Loops, then Nakeela and Lachangla Passes (16,617 ft), we reach at tent city Pang and then through Skyangchu Thang (The biggest and highest Plateau on Earth on, a Stretch of 42 Kms) and a 6-7 km off road drive, we reach Tso-Kar Lake and overnight camp over there. Post breakfast, we drive to Tsomoriri. The Lake is located at 14,000 ft. near a small village of Korzok. On the way we cross Polokangla and Namchick La passes before we reach Korzok Village. Upon arrival we check in at our camp. Post Breakfast we drive to Leh, on the way we visit Chumathang Hot Springs and Thatsangkaru Lake. 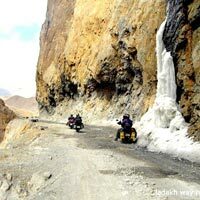 Drive further to Leh and check in at our hotel for overnight. Complete day for rest and checkup of bikes. An evening visit to Leh Market & Shanti Stupa. Overnight at Hotel. Post breakfast we proceed for Indus Valley Monastery tour including Shey: the ancient capital of Ladakh, Thicksey: an impressive complex rising tier upon tier on a hill above the village, Hemis Gompa: the largest monastic foundation of Drukpa Kagyu Order of Tibetan Buddhism, and Stok Palace & Sindhu Ghat. Overnight at hotel. Today, we’re going for serious altitude! 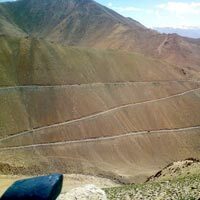 It’s time to cross the truly breathtaking 5,360 mt high Chang-La Pass and follow a rough mountain road to the luminous blue-green magic of Pangong Lake. We’ll spend the night in a basic resort with a sweeping view across the lake to the Tibetan shore. Time for some double-pass action! After crossing the Chang-La Pass, we’ll descend into Shakti Valley. 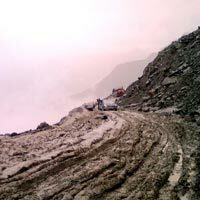 From there we have a steep climb for the recently opened road leading up to Wari-La Pass at 5,300 mt will demand our undivided attention. 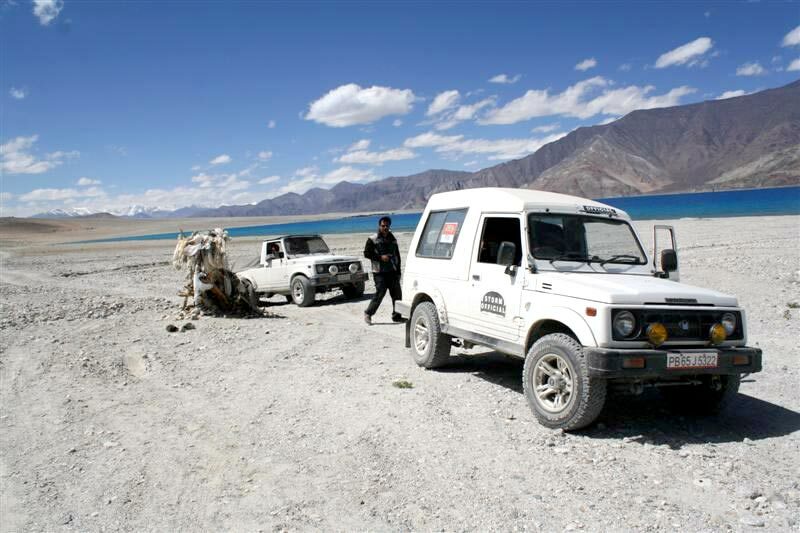 Cresting the pass, it’s a wild ride down into the vast, arid expanse of Nubra Valley, where we’ll visit the ancient, remote Diskit Monastery. 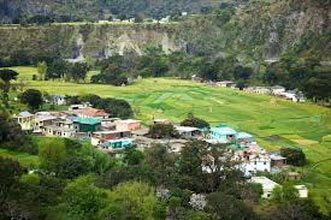 Today’s destination is Hunder, an oasis where we will have dinner and spend the night in the Guest House /camps with its cozy garden. 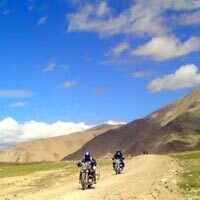 Day 10: Nubra Valley (110 kms) or Ride back to Leh. 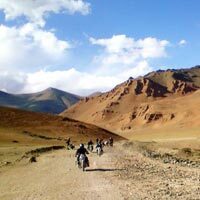 We have a half-day ride through the broad valley to the hot springs of Panamik, followed by afternoon riding on camels through the sand dunes of Hunder. Dinner is once again in the peaceful garden of the guest house. The summit! 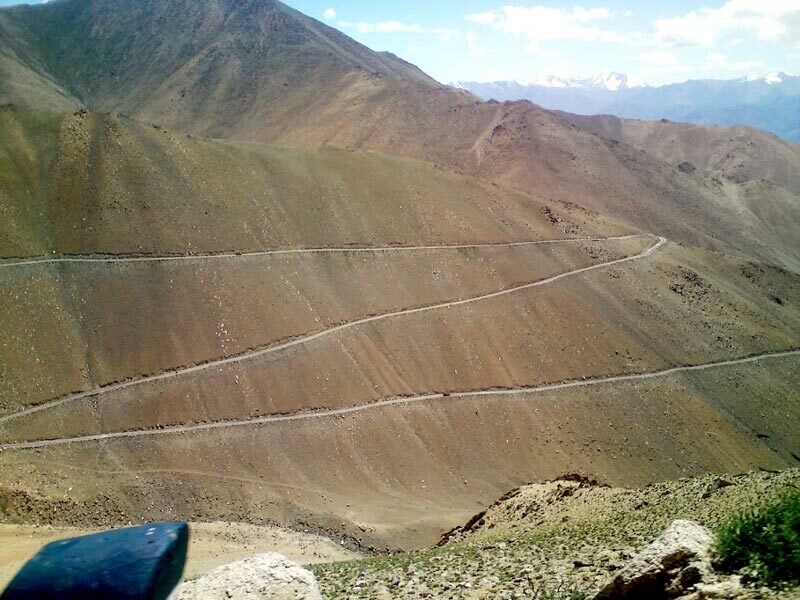 It’s time for the world’s highest Motorable road, the Khardung la Pass (18,380 ft!!). Later, we’ll return to our headquarters in Leh. The afternoon is free to relax or shop, or visit the Shanti Stupa at sunset. Dinner at the best Tibetan place. 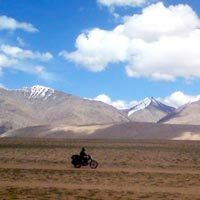 Today we leave early and cross 3 passes: Tanglangla (17,585ft), Lachungla and Nakeela, before reaching our camps at Sarchu. 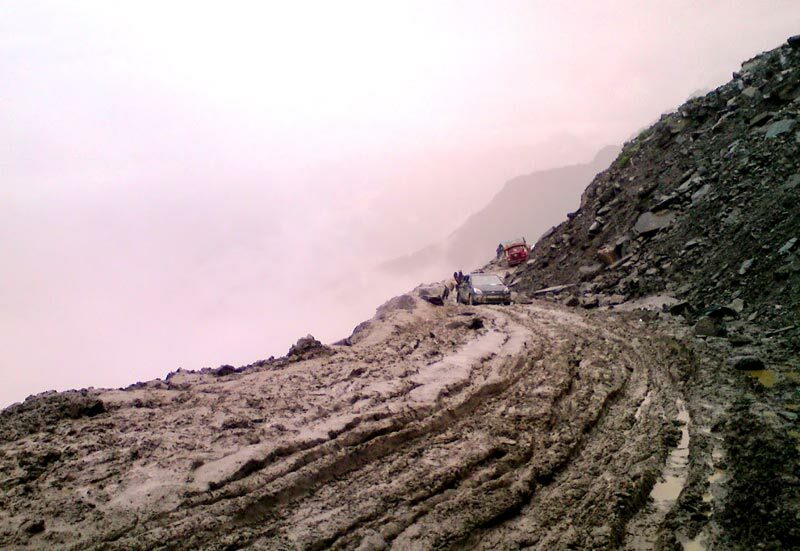 It’s a same route via Jispa - Keylong - Tandi - Rohtang Pass - Manali. Package A: - Security deposit for the rented bike (40% cost of bike ) & Extra days bike rent.